For those who are insane love with the character of Nightwing that is introduced in Batman Arkham Knight Game here is the style inspired by him. 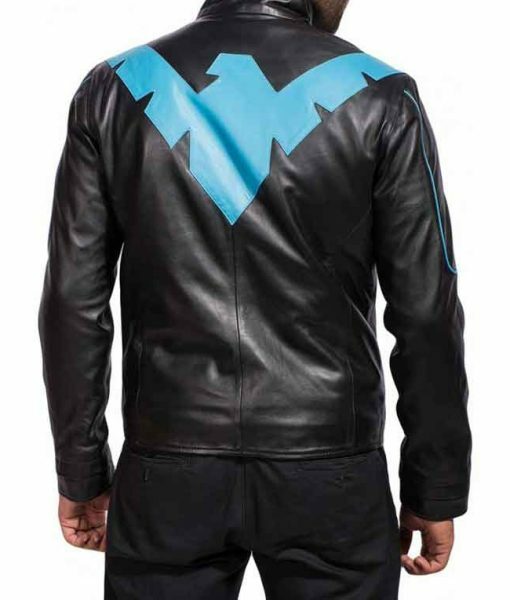 The Nightwing Jacket is designed and made after inspiring by the costume. This outfit is designed to give you that piece of attraction you always wanted to attire. 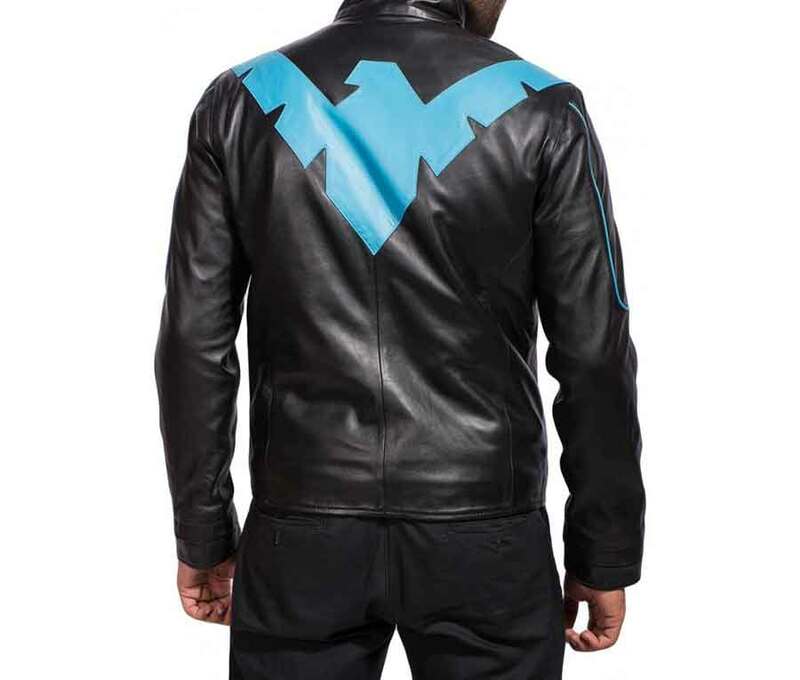 The Nightwing Leather Jacket is made of PU material that is smooth and light-weighted. Inside of the outfit, viscose lining is stitched to give you the satisfaction of cozy outfit. 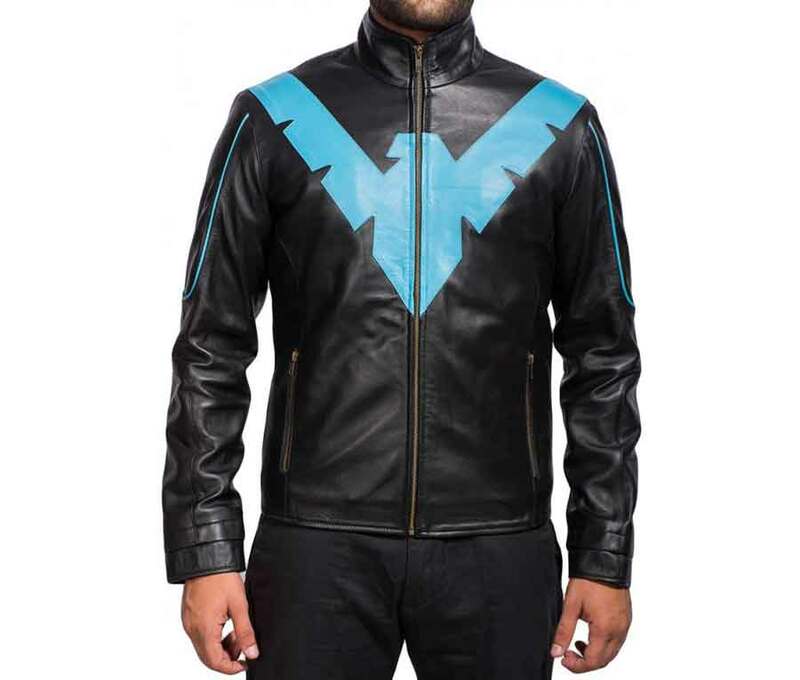 The Nightwing symbol is made on the chest of the jacket along with full front zip closure and stand-up style collar. There are two outside and two inside pockets made in this jacket. You can touch your glamorous personality now with this jacket. 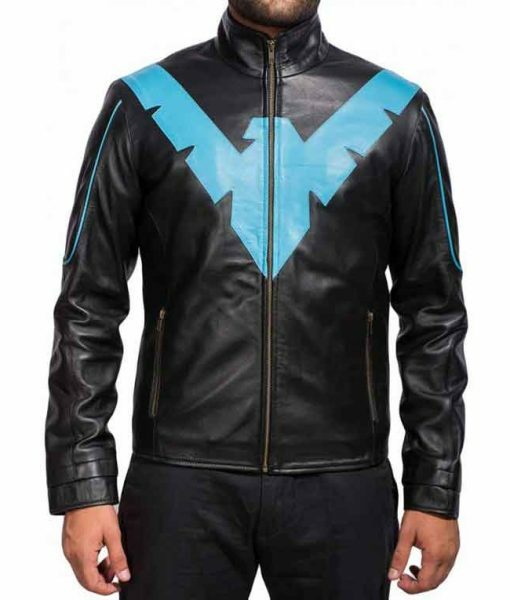 This Nightwing jacket is a good variation of black and blue. I feel so good wearing this at night time when im out late with my friends. I got medium size and fits perfect for me. Great outfit.